Sam Caplan and Jason Floyd are back for another edition of The MMA Insiders Podcast and Sam begins the show by discussing the performance of Gina Carano in Deadpool. Following Sam discussing Carano, the guy talk about Alistair Overeem and Aljamain Sterling re-signing with the UFC. They break down MMA free agency at this point in 2016 and eventually debut about the potential free agency of current Bellator lightweight champion Will Brooks. 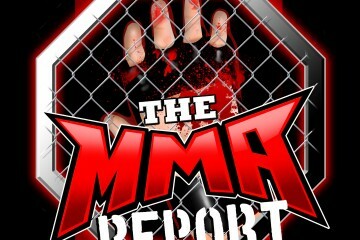 Other topics from this week’s podcast include comments made by Melvin Guillard on Patricky Pitbull, Marlon Moraes place in the bantamweight rankings, CM Punk’s UFC debut being delayed once again and the comments made by Venator FC President Frank Merenda on Jason Miller.